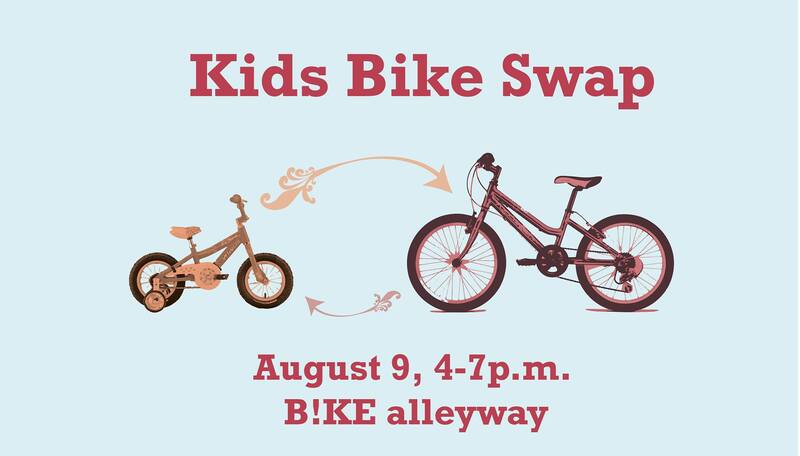 On August 9th from 4-7 join us for a Kids Bike Swap at B!KE. The swap will take place in the alley behind B!KE and can be accessed from King Street near the entrance to the parking garage. B!KE aims to keep bicycles safe and affordable. In that sprit this swap is aimed at getting kids who have outgrown their bicycles onto a bike that is the right size! Bring your kids and bikes! 7. No adult bikes will be swapped or repaired.